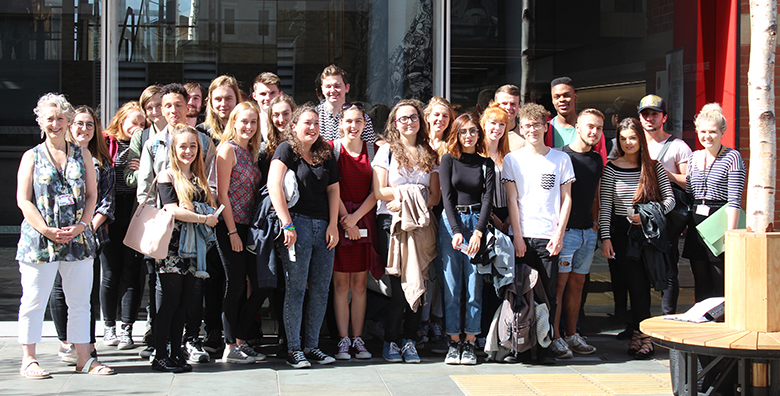 Drama students from The Sixth Form College, Solihull visited the famous Globe Theatre in London recently to see a dramatic production. The A level students attended a performance of ‘The Amazing Story of Adolphus Tips’ by the Kneehigh Theatre Company, adapted by Emma Rice and Michael Morpurgo. Set in in Slapton Sands in Devon, this production, based on the book of the same name by Michael Morpurgo, tells the story of a 12-year-old and her cat amid World War Two and explores issues of prejudice and love using music and puppetry. The production will serve as inspiration for our Drama students, who will be producing productions of their own this year. In addition, the A level course involves the study of two set plays from different genres and periods, as well as an evaluation of live theatre. A level Drama & Theatre is one of eight courses within the Creative Arts department at the College. The Performing Arts courses include A level Dance, Music, Music Technology and, of course, Drama & Theatre. Meanwhile, there are 4 Visual Arts courses, consisting of A level Fine Art, Graphics and Photography, as well as the BTEC Extended Diploma in Art & Design.